Described as a “free Renaissance” style building, the Bank of Nova Scotia (or A.A. Heaps building) was designed by Darling & Pearson Architects in 1910. The building is among the finest heritage properties in Winnipeg. Marble, mahogany, brass and gilding are found throughout the magnificent structure. 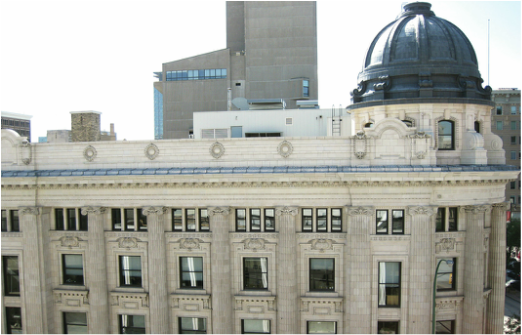 A site condition survey for the Province of Manitoba resulted in 40% of the exterior terra cotta being re-pointed. 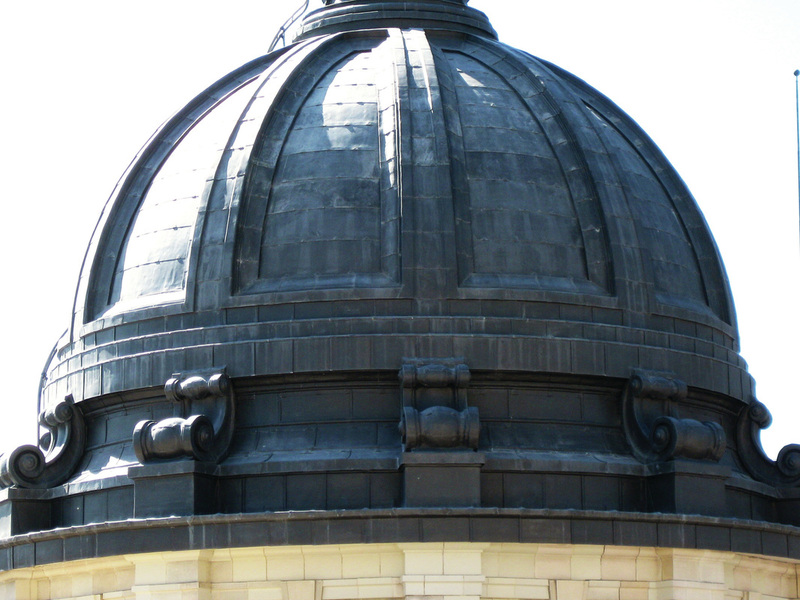 The cornice structure was rebuilt and the cupola was also repaired and clad in lead sheeting. As well, the glowing interior of the banking hall was repaired and repainted. The 2009 award-winning restoration of the A.A. Heaps building is part of BridgmanCollaborative’s ongoing vision and mission to help preserve heritage architecture for generations to come.